In this four-year interdisciplinary program, you will not only acquire practical skills that you will be able to apply in our local multicultural communities, you will also develop the intellectual and cultural competencies required to operate successfully in a world where the nations of Asia are increasingly influential. 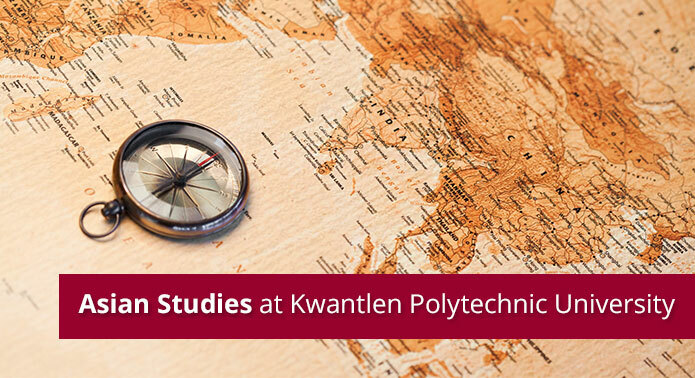 If you enroll in the Asian Studies program, you will be eligible to take part in exchanges with KPU’s partner institutions in China, India, and Japan. The Asian Studies program also offers opportunities for you to participate in Field Schools in Asia where you will earn credits while experiencing Asian culture first-hand. You will gain valuable competencies including critical thinking, communication, intercultural awareness, and information literacy. Your ability to link what you learn in class to the needs of our communities and our world will prepare you for a career in public and community service; local and international business; social work; primary and secondary education; law or policing; professional writing; and, NGOs. The Asian Studies program will also prepare you for admission to graduate studies.